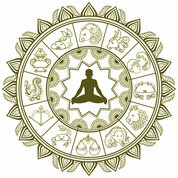 The Relationship Oracle is a 1 year astrology forecast for couples, based on the composite chart of your relationship. This is a chart made up of the midpoints of the planets and angles in your individual birth charts, which symbolizes your relationship as a living entity and provides important insights into its dynamics. By tracking the most significant transits to your composite chart, month by month, the Relationship Oracle reveals how and when your relationship is likely to develop and change. During the coming year you will have many opportunities to ‘grow’ your relationship and encourage it to blossom. There will also be challenging periods when you will need to give it some extra care and attention in order to keep it alive and healthy. By alerting you to the exact nature and timing of both the good times and the danger times in your relationship over the next 12 months, the Relationship Oracle helps you to successfully negotiate these various ups and downs. If your relationship is important to you and you want to keep it in good shape and avoid unnecessary problems – if you’re keen to get the most out of your love affair and help it to reach its full potential – you can’t afford to ignore the amazing predictive insights offered by The Relationship Oracle relationship forecast report, available both for known and unknown birth times. View a sample Relationship Oracle report for Brad Pitt and Angelina Jolie.